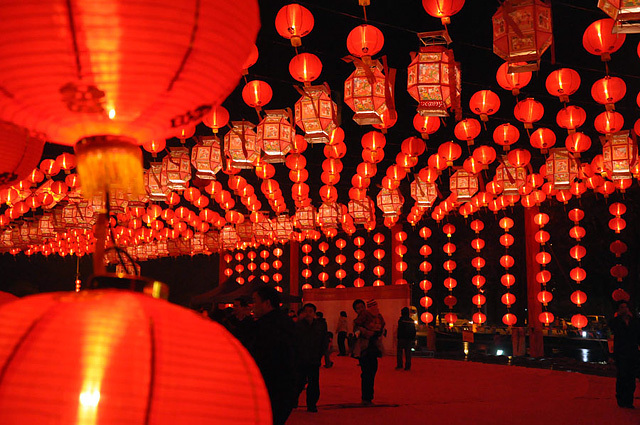 The Lantern Festival, also called Yuan Xiao Jie, was celebrated at the fifteen day of the first lunar month. It marks the end of New Year’s celebrations, also the first time to see a full moon of that year in Lunar Calendar. 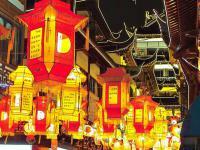 Lantern Festival was originated at Han Dynasty, with the Buddhism flourishing in China by then. The Emperor then ordered to light lanterns in palace and temples to show his respect to Buddha at 15th of the first lunar month. This practice was expanded to other parts of China along the years. In Kaifeng, during the Northern Song dynasty (960-1126), lanterns were carried by dancers concealed inside dragons, as in Lunar New Year’s parades today. Everyone out on the streets drinking, eating, and enjoying music, theater and acrobatics; some carried lanterns in the long pole. 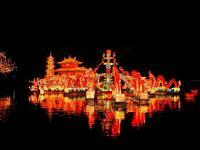 The Lantern Festival cerebration reached its peak at Ming Dynasty, lasting for ten days. Downtown Area was set aside for displaying the lanterns. Dengshikou in Beijing was the place for selling and buying lanterns on that day. Watching lanterns and eating Tang Yuan are the most important celebrations on this day. Lanterns of various shapes and sizes are hung in the streets, attracting countless visitors at night. It is said that the brilliance of the artificial lights almost outshone the light of full moon. Some children would carried their lanterns in the long pole, and have fun with the whole family. “Guessing lantern riddles” is an essential part for lantern watching. The puzzles or riddles were written on the lanterns of just pasted on them. If one can solve that puzzles, a little gift would be given. Nowadays, lantern show is still available in many big cities like Temple of Earth and Heaven in Beijing and Chenghuang Temple in Shanghai. Tang Yuan or Yuanxiao is sticky rice dumplings, meaning reunion, harmony and happiness for the fam ily. It is the special food on lantern festival, made of glutinous rice flour filled with stuffing in round shape. Most Chinese people do and eat on this specific day and kinds of stuffing like sugar, Walnuts, sesame, rose petals, sweetened tangerine peel, bean paste, or jujube paste include. Yuanxiao is easy to make, shaping the dough of the rice flours into balls first, making a hold by finger and inserting the fillings, then closing the hole and smooth by rolling between hands. There are other celebrations to do at the daytime; performances like dragon lantern dance, lion dance, and land boat dance are always on stage. Fireworks form another scene at night time.